B-52’s tribute band, Hey Lady, will kick off the sixth-annual Art Night Out season in Downtown Lafayette on May 17! Art Night Out is a free, family friendly community event that takes place from 5 to 9 p.m. on the third Friday of the month throughout the spring and summer in Downtown Lafayette. Art Night Out will feature artists booths, Art on the Street sculptures, galleries, Arty’s Creation Station a free children’s art activity booth, additional children’s activities (including a balloon twister, magician and face painters), food trucks and the ARTS!Lafayette beer & wine garden. This Art Night Out will feature LeftHand Beer from Longmont and the food truck Cheese Louise. Come to Old Town Lafayette to enjoy Art Night Out, connect with friends and neighbors, participate in arts and family activities, grab a bite to eat downtown, and sip locally produced beer or wine while you enjoy a free concert at Festival Plaza! Art Night Out is in its sixth season. 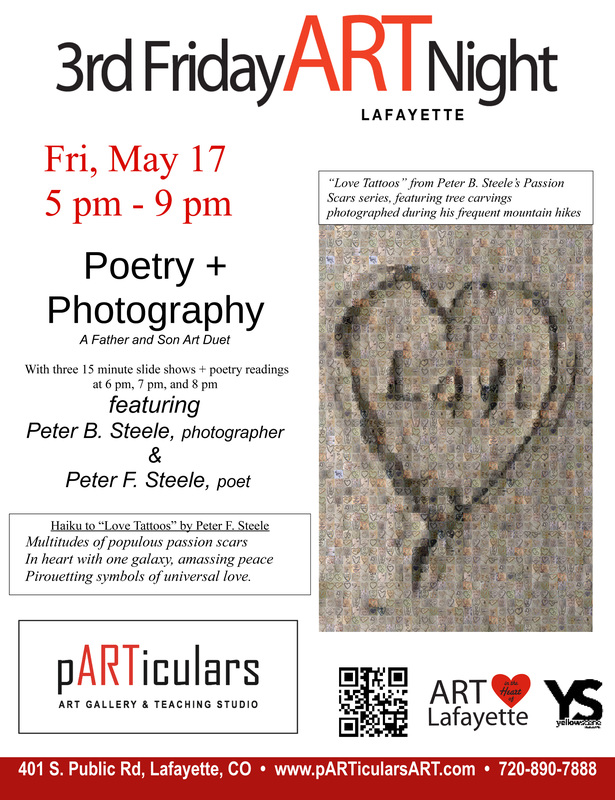 The City of Lafayette is the primary sponsor of Art Night Out, a collaborative event sponsored with the Lafayette Cultural Arts Commission, Lafayette Old Town Association (LOTA), Lafayette Urban Renewal Authority (LURA), ARTS!Lafayette, pARTiculars Gallery, and other Old Town Lafayette businesses. For more details, visit www.cityoflafayette.com/ANO. Contact Susan Booker,susanb@cityoflafayette.com with questions. distinctive original art, clothing items, gifts and accessories. Can’t wait to see all of you!